Christian Challenge is a registered student organization at Emporia State University that helps students grow in relationship with Jesus Christ, connect with each other, make a difference in the community and impact the world. Christian Challenge is a place to learn about Jesus and meet people who are trying to live life more like His example. Challenge is a safe place to ask questions and seek answers. Every week on Thursday nights we meet to examine ideas that challenge our faith in God and push us to follow Him in new ways. We believe that as we walk with God, He is transforming us. We also meet weekly in student-led small groups to build supportive God focused communities. These small community groups are a great way to make deep friends and grow in faith. Throughout the year we take time to retreat and focus on specific topics of interest for growth and renewal. 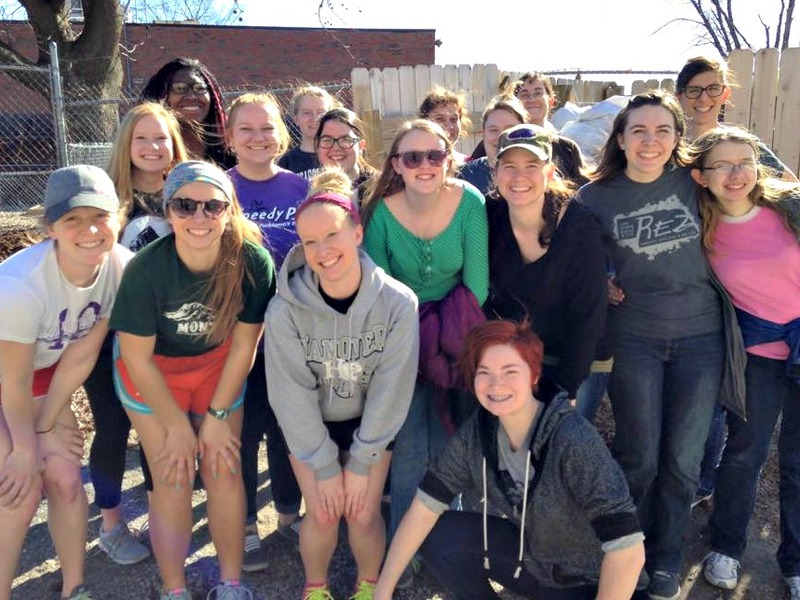 Each Spring break and throughout the year we take time to pursue special community service projects. Christian Challenge is a registered student organization at Emporia State University. We are thrilled that you are looking into Christian Challenge and what we are all about. College is one of the most unique and powerful journeys your son or daughter will make in life and our purpose is to encourage and equip students to move closer to Jesus Christ as they make this journey. You may have questions about Christian Challenge—let me explain who we are and what we do. Christian Challenge is a registered student organization at ESU and has been in Emporia for more than thirty years. Christian Challenge is one of hundreds of Baptist collegiate ministries across North America. We are supported by Southern Baptist churches in the Emporia area, in Kansas, and across the nation. While we are Southern Baptist, we do not in any way expect or exert pressure that students be Baptist, or any other denomination or religion to benefit from our ministry. I have the great privilege of directing the ministry of Christian Challenge as my full time job. I have over 13 years of experience in student ministry and a Masters degree in Divinity. My family and I are completely devoted to ministering to the students of ESU and love the time we spend encouraging, teaching and counseling with them. What does Christian Challenge do? We encourage students to grow in relationship with Jesus Christ through involvement in Bible-based teaching, student-led small groups, retreats and service/mission trips. You may have other questions about Christian Challenge, how we reach students or how we are funded. I would love to talk with you and answer any questions you may have. I’m always exited and available to connect with the parents of students who are involved with our organization. Thanks for checking us out.